Click here to open report. GNS is pleased to advise that we now have two further back issues of The Gloucestershire Naturalist available as scanned files on CD ROM, volumes 13 (2000) and 14 (2008), Stephen Bishop’s New Flora of Gloucestershire. Both complete volumes are available together on a single disc at a cost of £6.00 including postage. If anyone would like to purchase a copy, please contact Andrew Bluett, Membership Secretary, at gnsmembership@btinternet.com or on 01452 610085. Richard Lansdown lives in Stroud and is well known to many members as an expert on water plants. He is the Chair of the IUCN SSC Freshwater Plant Specialist Group. He spoke to us in March 2011 on the subject of new and rare aquatic plants of Britain. He is the author of the BSBI Handbook Water Starworts (Callitriche) of Europe and A Field Guide to the Riverine Plants of Britain and Ireland. Richard is the joint recorder for bryophytes in Gloucestershire and his new book, A Provisional Red Data Book on Gloucestershire Bryophytes has just been published by the Gloucestershire Naturalists’ Society. 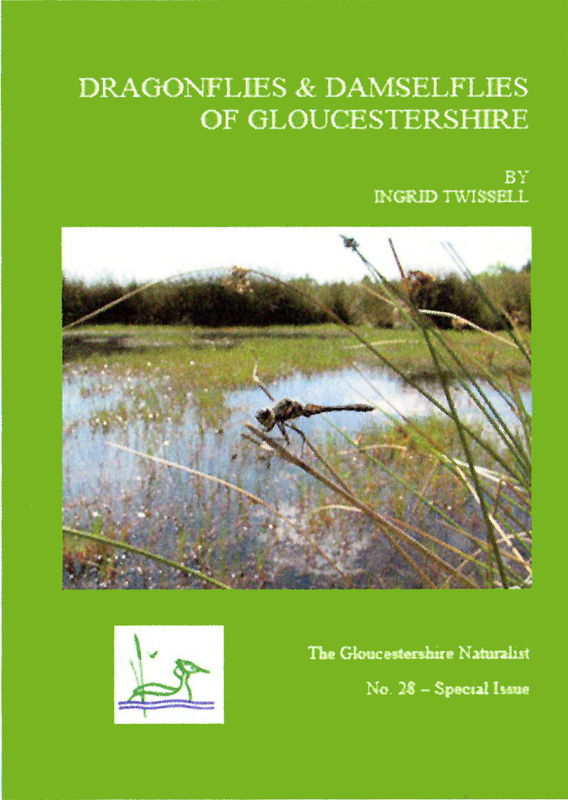 It is an authoritative work of 327 pages and lays out and justifies the local threat status of some 200 species, each of which is given an illustrated species account covering distribution and history (with a dot map), habitat and ecology, the condition of populations in Gloucestershire and the conservation action needed. As Richard points out in the first paragraph of his book, detailed information on the rare bryophytes of Gloucestershire is important in terms of [species and habitat] conservation and he draws attention to where “gaps in our knowledge …impede our ability to work for their conservation”. Some places have been found to be no longer suitable for some or all of the rare species which had been recorded there, but for others there remains the hope that focussed surveys will re-find them. Expect to be well informed on the current state of the mosses and liverworts of the Watsonian county of Gloucestershire and what needs to be done to look after them and the places they occur. The meeting will start with tea and coffee to allow questions and discussions to immediately follow the presentation. As a result of having to provide copies of back issues of The Gloucestershire Naturalist Volumes 1 – 12 to the British Library and through the generosity of some of our members, we now have on file scanned copies of all of those issues. If anyone needs copies of specific articles for reference or research, we can supply them as e-mailed scanned pdf files free of charge on request. Full sets of Volumes 1 – 12 as scanned pdfs can be supplied on disc at a cost of £6.00 (inc. postage) payable to Gloucestershire Naturalists’ Society. The document attached below is an index of the issues and articles available. We hope to add later issues in due course but due to the size of volumes 13 and 14, the Stephen Bishop Flora of Gloucestershire, we are still considering whether we are able to make them available and in what format. Printed copies of specific articles may be possible in certain cases but we cannot provide printed copies of whole issues. All enquiries for these services should be addressed to Andrew Bluett, Membership Secretary, at gnsmembership@btinternet.com or on 01452 610085.